With 50 states and over 280 million people, the number of places to visit, people to meet, and jobs and career opportunities available in the USA is mind-boggling. We've tried to give you a taste of what we think is some of the best places to live and work. Please note that more information about working in America can be found in our USA Job Section. New York is an incredibly diverse place with so many things to do and see. New York is a place where there is always a buzz and you will be constantly amazed by the variety and diversity of the people. You will also never be short of something to do in this city with its amazing selection of shops, museums and galleries as well as a hip nightlife. 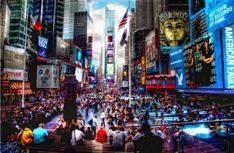 Everything in New York is a must-see from famous landmarks, the skyscrapers to the visitor attractions. They are right when they say… this city never sleeps! 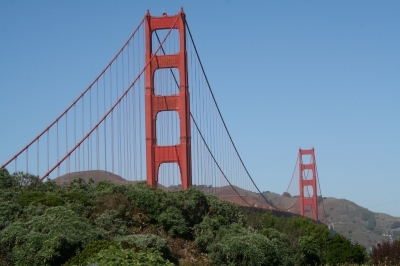 San Francisco is located on the West Coast of the USA and has so much to offer. Home to the famous cable car, this mode of transportation is a great way to explore and soak up the cities ambience. With its famous attractions including Alcatraz, the Bay Bridge, the Golden Gate Bridge and Coit Tower, there is something for everyone. San Francisco is also home to a great art scene, tantalising seafood restaurants and many outdoor recreational pursuits. Miami is located in the south and is a cosmopolitan city that is rich in culture and tradition. In Miami it feels like the sun is always shining which means that there is no better place to enjoy glorious beaches and top nightlife including buzzing restaurants and bars as well as funky nightclubs. Not only that, but Miami is home to many shops including the finest designers as well as renowned art galleries. Miami has a great mix of people and ideas meaning that all tastes are catered for in this 24-hour city.